As we all know, having self-confidence can help one to be successful in many different areas of his or her life, but did you know that having self-confidence can be a major player in whether or not you achieve success in business? Being self-confident means that you have trust in yourself and your abilities. It means that you are able to successfully complete a task because you have planned your goals and mastered them. You also have a high sense of self-esteem. Self-esteem is how you view yourself. Naturally, having high self-esteem and self-efficacy in business can help you to become extremely successful. This article will help you to appreciate and understand the importance of self-confidence in business. We will also explore what self-confidence is and how to become more self-confident. We will also look at the role technology can play in expanding your confidence, especially in business. Being confident in one’s self involves several different factors, but all lead to one conclusion, believing that what you are doing in and with your life is the best thing that you can do. Confidence is built when you take a situation and excel at it, whether it is an everyday situation or a really difficult situation that needs attention above and beyond what you would normally give. Self-confidence can also be built when someone gives you affirmations that your performance and decision-making are stellar. When you have someone giving you compliments, it helps to promote positive thinking, which is another attribute of self-confidence. There is a lot to be said with respect to the importance of self-confidence in business. Having self-confidence when being a business owner or a business executive is extremely important to your business’s success. Being confident can help you make successful business decisions and stand up for yourself in the corporate world. For instance, a business owner who does not have high confidence in himself or herself or his or her company may not be more willing to ask for things he or she needs for the business to be successful. A lot of times when a business is starting up, it needs money from investors. A business owner with self-confidence will be willing to ask for friends, family, and other corporations to invest in their up-and-coming business. The opposite is true as well. A self-confident person in sales will be more successful because he or she can promote themselves and their product in a way that people want to buy, instead of being meek and mild about the product, which would make a potential client shy away because they may not believe that the product is worthy. Being confident doesn’t always mean that people agree with you, but this is not a bad thing. It can actually help to bolster your self-confidence as can success and support. Being prepared and having a good mental skill set can also help with building confidence, which again, is important in business. If you want to be more confident to help you with being successful in business, there are a few things that you can do to help yourself. First, you can start simple and with the basics. Think about the things that you consider qualifiers of success and start to incorporate those qualifiers into your business life. Next, set attainable goals. If you set a goal and achieve it, you will start to build confidence. See what you did that helped you to achieve that goal and focus on improving the areas where you found you were weak. Finally, continue your positive thinking. If you try something and fail, don’t give up. Analyze what happened and try again. Think of how you could have succeeded and work on improving in that area next time. Give yourself a pat on the back for trying in the first place because you are already one step ahead of many others just by trying. There are many different routes that you can take to help improve not only your confidence but also your business knowledge. If you have extra time in your schedule to dedicate to really learning about business and the importance of self-confidence in business, taking an online course is a great choice. There are two really amazing platforms that can help you start (and finish) your online learning experience. 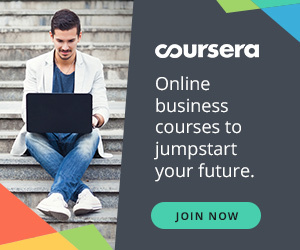 The first is Coursera (https://www.coursera.org/), an online collection of courses that a user can peruse and elect to take as part of a degree program, audited, or on an individual basis, depending on the student’s intent. The price points for each class are different. Obviously, if you audit the class, you are given access to most of the class feature on a free basis, but without the assignments graded and without receiving a certificate of completion (without paying a fee). Individual classes have a small fee associated with it, and the degree programs offer competitive pricing with a financial-aid backing, if needed. If you are looking specifically for courses in Business, there are over 5 certificate and degree programs to pick from and over 800 courses that can be taken individually, in English. The course options expand greatly if you can speak another language, such as Spanish or Russian. In fact, there are over 25 languages that the courses can be subtitled to match. Some of the courses offered in the area of business include Business Foundations, International Business Essentials, Business Strategy, and a plethora of other classes that help you to become more business savvy. If you are focused more on becoming self-confident, there are over 120 courses that can show you how to achieve this goal. Again, there are several courses that are offered primarily in a different language than English, but also many courses that can have subtitles in other languages. There are a ton of classes that will help to improve self-confidence in business as well, such as Introduction to Public Speaking, Building Your Leadership Skills, Business Applications of Hypothesis Testing and Confidence Interval Estimation, and many more. 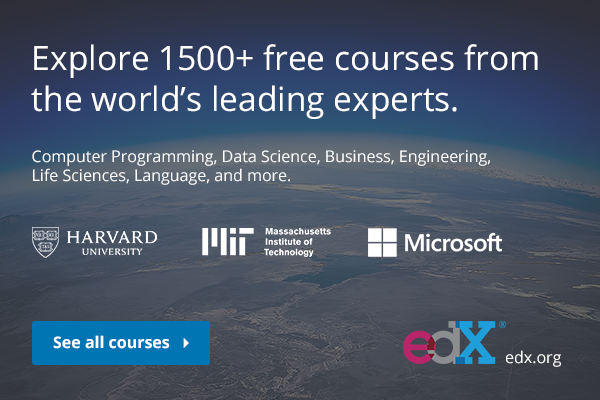 EdX (https://www.edx.org/) is another great platform for continuing your education. They have five different paths that you can pick from, including a MicroMasters program which are master’s level courses that help with advancing your career, Professional Certificate programs, a full online Master’s degree, a Global Freshman Academy that allows students to complete their full first year of courses from an accredited university and receive the university credits to transfer, and the XSeries for those who want to learn more, but don’t want to commit to a full program. EdX has over 450 classes dedicated to learning about business. The classes are leveled, so you can choose wisely what kind of difficulty you want to commit to. There are fewer offerings in languages other than English, but there are still offerings. The classes in EdX also give you categories that allow you to pick if you want an archived class, a self-paced class, or a class starting live. Some of the business class offerings include Behavioral Economics in Action, Management Accounting for Decision Making, Introduction to Investments, and many more. There are also several courses offered in the field of psychology, which of course can help build and understand confidence. Both websites offer user-friendly formatting that includes worksheets, videos, professor access as well as grading, and lecture series. Both websites are also associated with accredited universities and professors. Again, building self-confidence is an important part of being in the business world because it helps to make you successful. There are several ways to learn more about business, which can help build your confidence because you understand better. No matter what your choice, you are on the right path!